At International Vault Australia, our core expertise is in the traditional market of bank vault and safe deposit storage design. 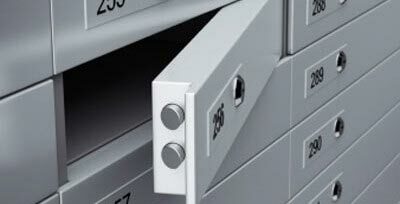 We've maintained a leading edge in vault technology for the international banking industry for over 30 years. We offer a full range of vaults, vault doors, and day gates. Our bank, safe deposit, and jeweler vault products are built to UL 608 certification standards for burglary resistant vault doors and modular panels. The materials used for the modular panels and secured doors are of the highest quality and used by some of the largest international banks and financial institutions around the world. To learn more, call us today at 1800 465 656, or visit our easy-to-use contact form. While we offer an exceptional product line, our value added services make International Vault the first choice among discriminating financial institutions. Our experienced engineers consult with each client to deliver a customized solution, providing right for the highest level of security in storing valuables, financial assets, and large sums of money. Precious metals, jewels, and cash are not the only valuables in need of secure storage. In addition to high-end vault installation and customization, International Vault offers safe deposit solutions to protect valuable documents, heirlooms, and more.